Persuasive Writing - We wrote some persuasive articles and in groups we created persuasive adverts for some new products we designed! 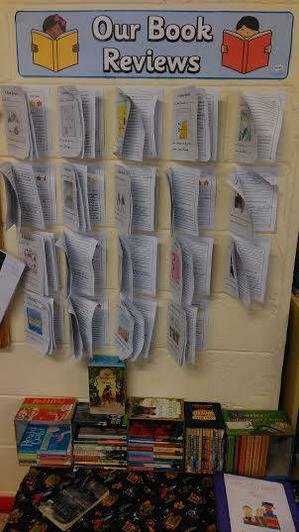 Here are some examples of Newspaper Reports we wrote! 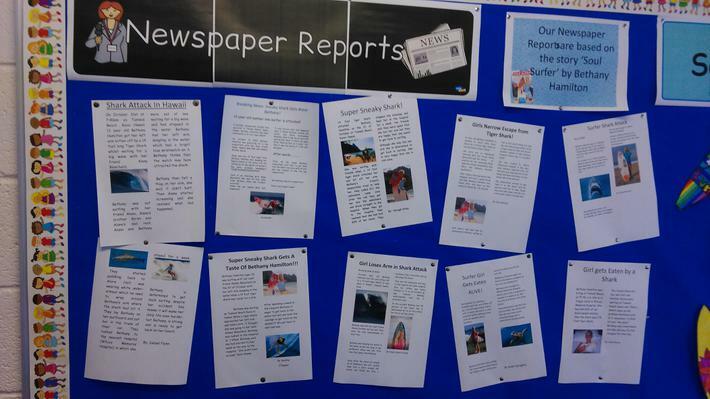 We based our reports on the events of an extract from the novel 'Soul Surfer' by Bethany Hamilton. We really liked this story and we think Bethany was a very brave and determined girl. We wrote a first draft, then edited our work and published them on the laptops.